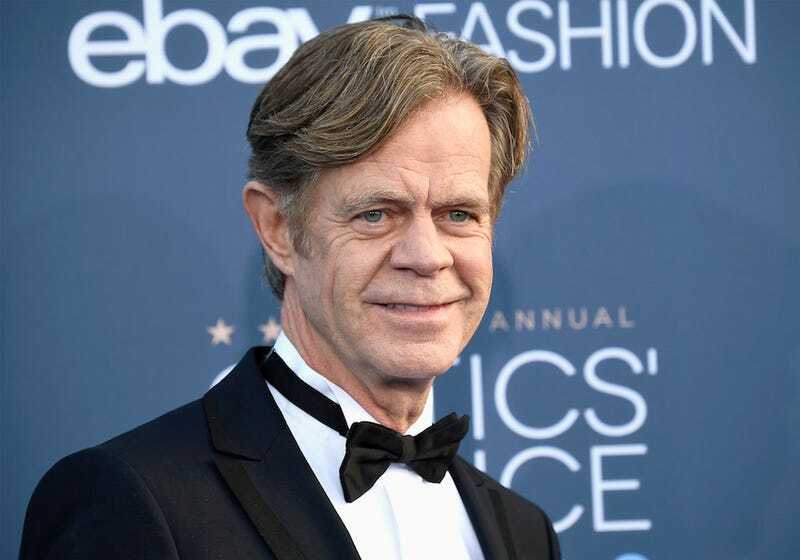 Accosted by the roving cameramen of TMZ outside the Grove on Monday, Shameless star William H. Macy agrees with Emmy Rossum that she should get equal pay. For those of you who watch Shameless, you’re certainly aware that Rossum does a bang-up job of portraying Fiona, the head of a dysfunctional mess of a family that also includes Frank, a drunk deadbeat dad, played by Macy. They are co-stars and therefore deserve parity. But, Hollywood works in ways that are inscrutable and decidedly unfair, and so Rossum makes less. Hence the contract dispute and the show’s production being put on hold while they work this out. “She works as hard as I do, she deserves everything,” he says, before waving nicely to the camera and walking away. Good guy, that one. Let’s see if anything actually comes of it. Great. Really great. Good. Awesome. Glad we had this chat. Oh. Thank you. That was very illuminating. Here’s Joshua Jackson Pacey-ing his way through an interview with Ellen about online dating.